I have lived on the outskirts of the Holy City for 22 years. My main goal with art is to be an inspiration to others and to remind everyone that beauty still exists. 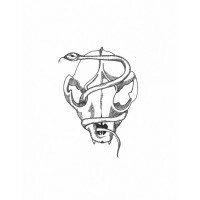 My strongest point is sketching but I think it's best to be well-rounded in all forms of art. I dabble in photography, pastels, and ink pens. In time I intend to move on to arcyllics and water color. My gallery is full of my talent. I'm not the best artist, I'll never be perfect. But I will always strive to bring beauty to a blank canvas. 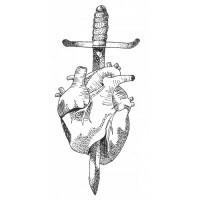 Anatomical heart with imperfect dagger. Orignally drawn in black in pen. Edited in Photoshop ..
Orignally designed as a tattoo. Orignally drawn in black ink pen. Edited in Photoshop for pri.. Shot a few years ago on Folly Beach. 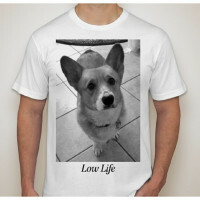 All shirts are printed on American Apparel Tees and are ..
"Low Life" is made to order. Our JDM mascot is Finnegan, the corgi dog. 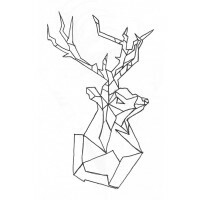 All shirts are pr..
Celtic White Stag done in geometric line work. Orignally drawn in black ink pen. 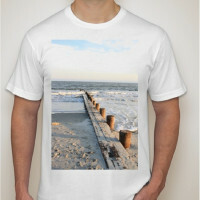 Edited in Ph..
"More Than Love" was inspired by a local by the name of Matt Lyons. 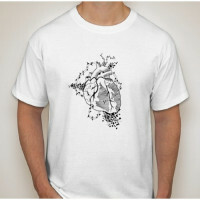 All shirts are printed on..